Pennoni di Gragnano "Cacio e Pepe"
romantic dinner and weekend break. Two years ago desert with icecream was more intresting. And you should do something with doves. Thanks to waiter, he advized us how to save money for wine (to bye by bottle, not by glasses). The food was very good but the wine and the food is very very expensive (125€ per peeson) for eating pasta. Would have been five stars, our reservation stated formal dress, there were people in there in hoodies and low end casual wear, regardless of wealth or importance, house rules are the rules and should be adhered to. We went there for my husband’s birthday, so I booked the restaurant a month ago due to it’s good reputation. But at the end it was a total dissappointment! The ambiance and the service was OK. But the food was very bad. I ordered a tortellini and didn’t like the taste, so I couldn’t eat it at all. The waiter just took my full plate and noone asked what the problem was, if I was not pleased or else! They served a bottle of water when we came which was almost finished, then they opened another one and they charged two bottles of water! Actually from a top rated restaurant, my expectation was really high but unfortunately I ended up hungry... I mean I knew that it would be expensive and I was OK with that, but for the price I paid, at least I expected to be pleased.. It’s a shame and I would definetely not recommend it! What’s a beautiful hotel dining. We were having our dinner at Terrazza Danieli. We missed to be seated at the terrace table since season is bit too early. But anyway we did really enjoy our dinner inside with excellent food, service and atmosphere. The staff was very dedicated while serve us with the food we ordered. We would like to try terrace table in future. Absolutely stunning view from the restaurant. Food extremely expensive but to be expected. Service not great - met with a slight attitude when we only ordered a cheeseboard. Waiter spilled beer over our food and us - no apologies, just dumped it on the table and walked away. Odered a bottle of water which never came but was on the bill when paying. Worth it for the location but service could do with some work - not very welcoming. excellent very very good food and place my husband and me love it!!!! 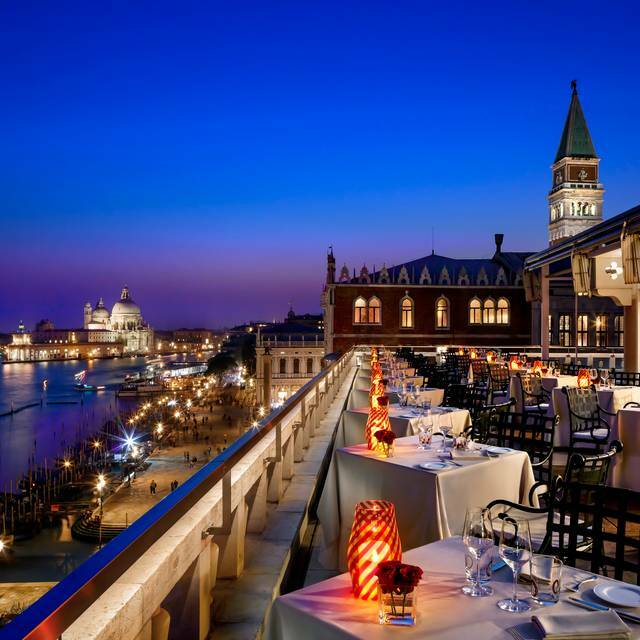 As a hotel chain restaurant from Mariott Terrazza Danieli is a horrible restaurant with very low food and service quality, but it represents itself as an high end dining place with a tremendous overypriced menu. 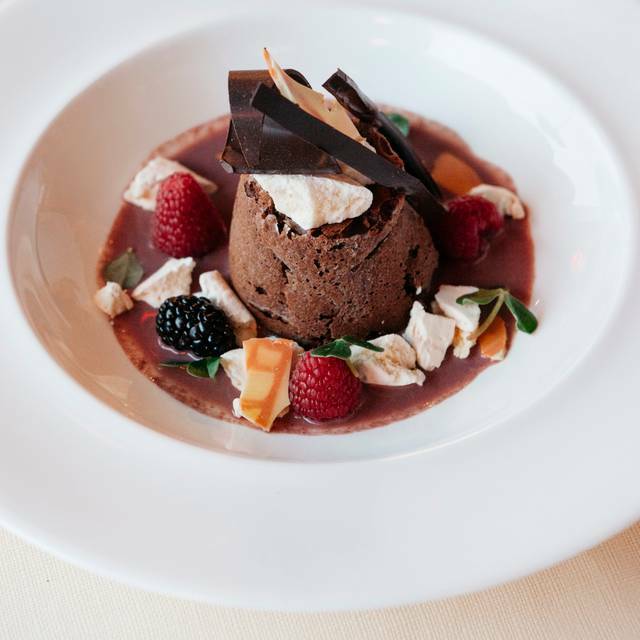 Every dish from the 4-course menu tastes the same and contains the exact same cream sauce as the welcome gift from the kitchen. The fish is overcooked and dry which can only be hardly cut. Hotel guests and locals are preferred, all other will experience an halfhearted service with very little interest to fulfill the customers desires or to reconnoitre. For example: They poure the white wine without caring to explain or to let you degustate your wine. Or without having finished your food, the waiter will take away your plate and serve the next course. I will be ashamed to even recommend this place to my worst enemy. 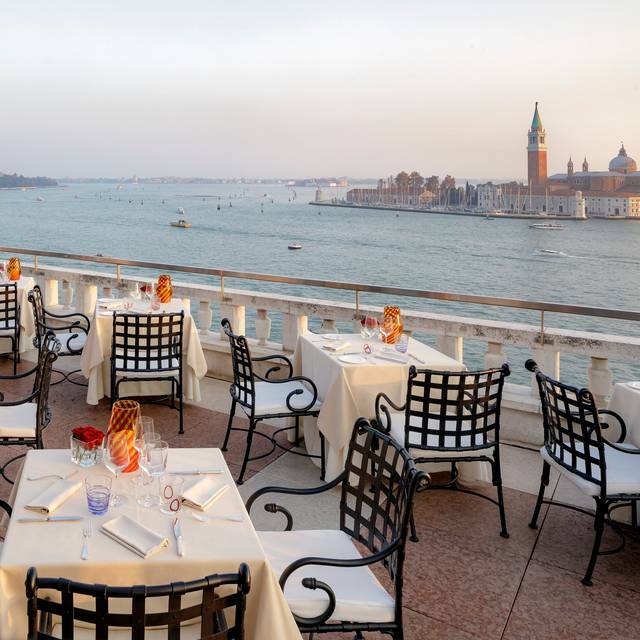 Sicuramente un luogo dove pranzare è una bella esperienza, il ristorante è al quarto e ultimo piano, personale cordiale e la vista in terrazza lascia a bocca aperta soprattutto nel pomeriggio. Premetto che sono stato per un branch, il cibo era di qualità ma forse per il livello dell’hotel mi sarei aspettato qualcosa in più in varietà, c’erano cose molto tipiche della cucina italiana nell’immaginario internazionale, rispetto ad altri 5 stelle non ho avuto l’effetto waou nella presentazione del buffet ma se vai al Danieli non ci vai solo per il cibo. A mio parere ne vale la pena ritornerò per mangiare alla cartè nella bella stagione e in terrazza. Rapporto prezzo adeguato alla location e alle stelle. Expected more from the 6 waiters standing around chatting one and other in the restaurant. No interaction and certainly not much in way of smiles. Pretty average with outstanding views. Sehr gutes und schönes Restaurant direkt am Grossen Kanal. Im Sommer sicher besser, da dann auf der Terrasse sich einen schönen Ausblick bietet. Menu was not as appealing as we had expected. Had an appetizer and went elsewhere for dinner. The $32 cover charge is never mentioned until the check arrives. 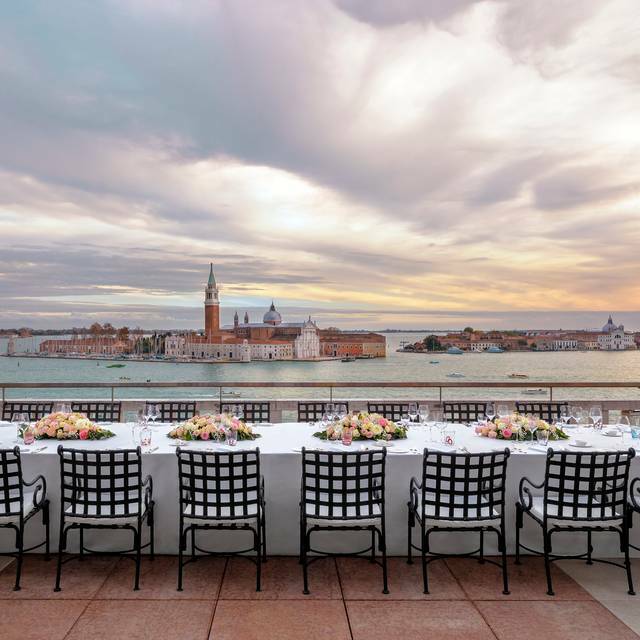 We traveled to Venice for the first time and had dinner at Terrazza Danieli. Everything, from the place itself, great service, delicious food and wine was absolutely superb. Weather permitting - outside seating is a must. Food and wine list were amazing! The food was a 10 out of 10. However, the staff was extremely pretentious and rude. First, they didn't have our reservation when we arrived and told us to go to the Bistro. After showing the hostess our reservation, she finally decided to seat us. Having spent almost $1,000 for four people, they were very rude as we left and rushed us out. For such a great restaurant, I was very disappointed with the hostess and wait staff. The view can’t be beat! The service was superb! The value and quality can be debated. What we ordered was delicious! The service was impeccable! Couldn’t ask for more with Roberto and all the staff! 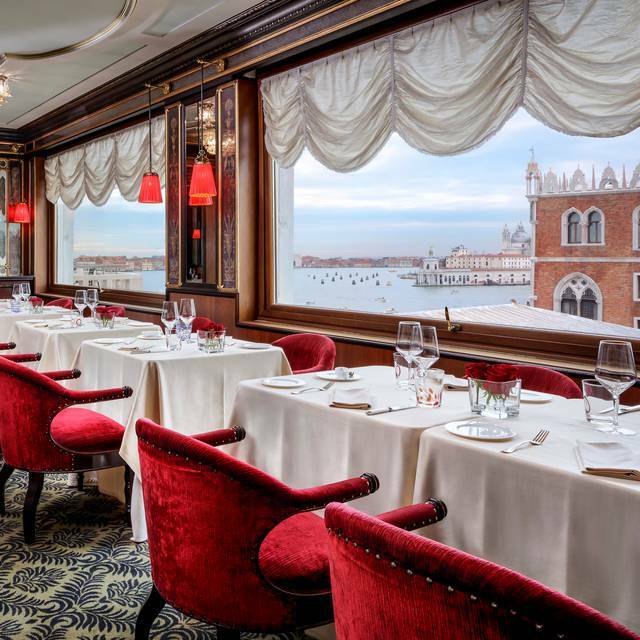 The table was excellent with a Venetian view to die for!! A must if you have a few tea bucks!!!! 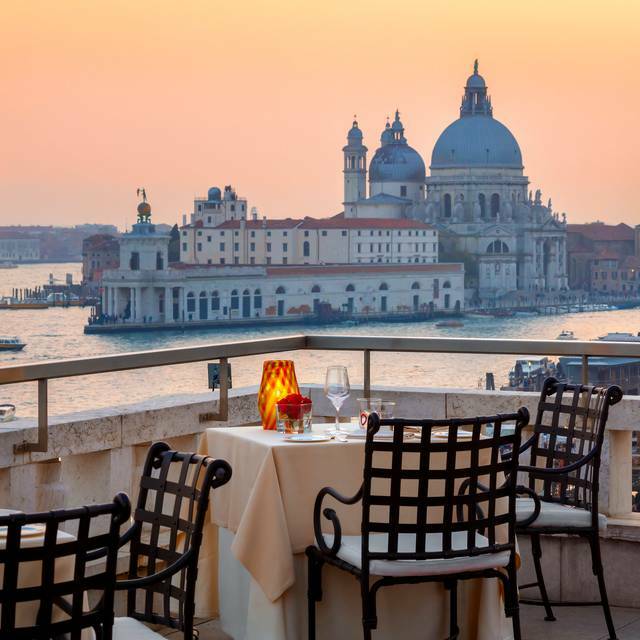 What an amazing view-one of the best view u could have in Venice! We went here Sunday, did not know that they only offer brunch but don’t let that discourage you, it was amazing! They had different pasta choices, cheeses, meat (lamb,steak,pork), seafood and dessert. This is by far the best brunch experience we’ve had! From the ambience,food to the service! I definitely recommend this place to everyone. Be sure to book ahead of time and have $$$$ in hand. Special meal before daughter goes to Uni! Very enjoyable. 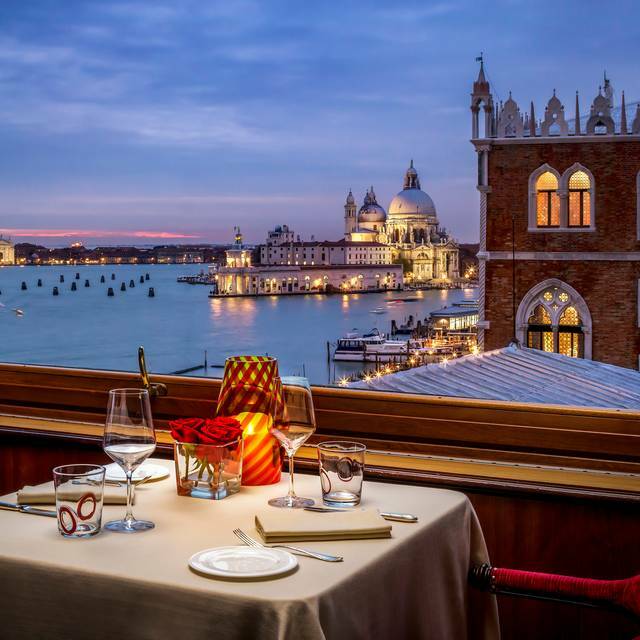 Thunderstorms made the terrace unworkable but a lovely corner table set back from the windows allowed for a spectacular view of La Salute and the Monastery as we enjoyed a tasting menu with splendidly balanced wines. A memorable evening helped by a dry walk Home! 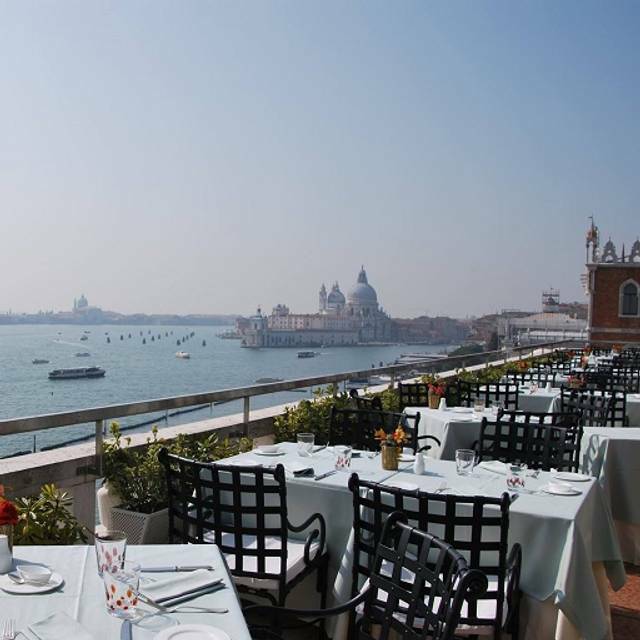 An amazing restaurant on the top floor of the beautiful Danieli Hotel, with breathtaking views over Venice. The food, staff and location are first class. Despite being 'on the expensive side', well worthwhile to make that occasion extra special. Take care when ordering wine as it is 'eye-wateringly expensive'! Exceptional location, food and wine. It is expensive but for a special occasion the terrace is quiet amazing and truly memorable. 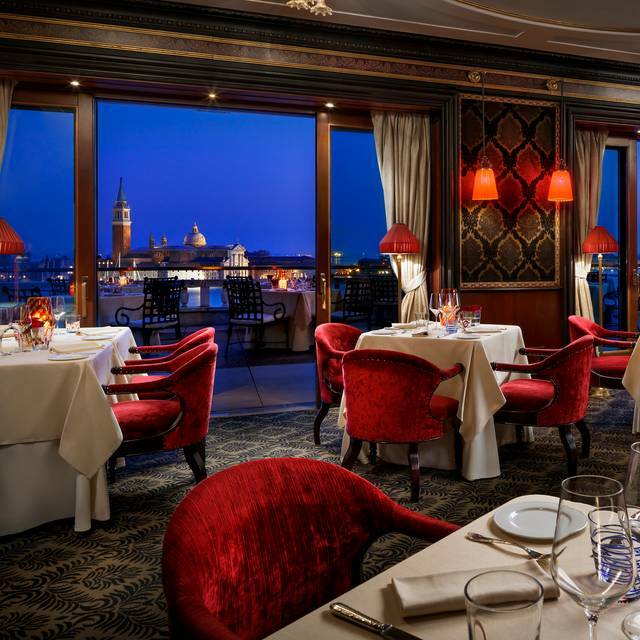 Leisurely three hour birthday dinner with magnificent view of Venice and fine food and drink. Exceptional service throughout. Best views from this restaurant and excellent food. Loved every bite! Quality of food is great and tastes fantastic. The lobster was really exceptional. Cocktails are good as well. Service was moderate, the waiters didn’t really pay much attention to us as customers. Nobody asked whether we enjoyed the meal, when collecting the plates, the waiters simply said “Bene” as a statement rather than a question. My wife didn’t finish some of the dishes (we had the tasting menu), at no point was she asked if everything was ok. The pre desert (which I believe was a pallet cleaner but there was no real explanation) was very heavy overly sweet. The food was good, but not really special (in comparison, say, with the Gritti, which is just unbelievable. But, same story as last year and the year before and since 2013 : the toilets suffer from lack of care (not clean all the time, soap glued to the tray - ok, some tourist may leave with souvenirs, but considering the standing of this hotel, either they fix it to the wall or afford the change if needed. It’s absurd to charge a cover for 5 guests. When in Italy, avoid hotel restaurants! Wonderful view combined with great food, wine and service. Was here 11 years ago and this was just as good as we remembered. Highly recommend. Great location and awesome food with great service! I was refused seating because I was wearing Bermuda shorts. No mention of dress code in the reservation from the Restuarant or Open table. 80 degree day in Venice. Very disappointing!